What makes sales engagement technologies different from other “new innovations” when it comes to adopting them for your business? This biggest difference is that sales reps are actually happy to use them. 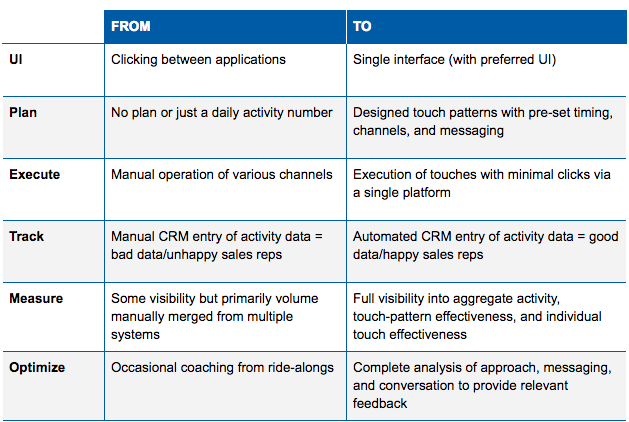 Unlike past technologies that were more of a chore for reps, simply providing data to higher ups, sales engagement technology, like Dynamics 365, adds value directly to the tasks sales reps perform throughout the day: from identifying new prospects to deepening relationships with current customers. Click here to learn more. Invest in a technology that your sales reps will actually use and will provide a ROI for your business. Contact us to learn more.